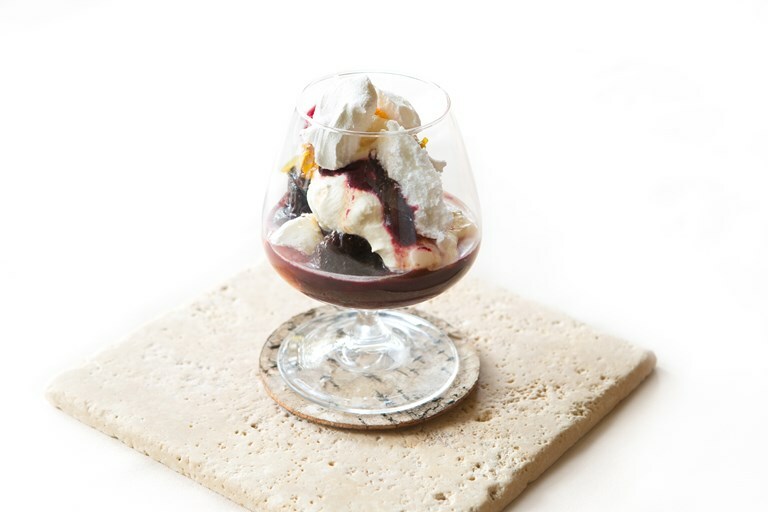 Pascal Aussignac pays homage to the classic British dessert of Eton Mess, swapping the traditional strawberries for soft prunes that have been marinated overnight in a gently spiced syrup. By also preparing the meringues the night before with the prunes this dish becomes a perfect dinner party dessert, as very little hands on preparation is required at the point of serving. Pascal serves his mess as layers in individual glasses but you could also fold the prunes, meringue and cream together as one large dish, if preferred.